Kaycee (11) and Ella (9) have always been avid readers. 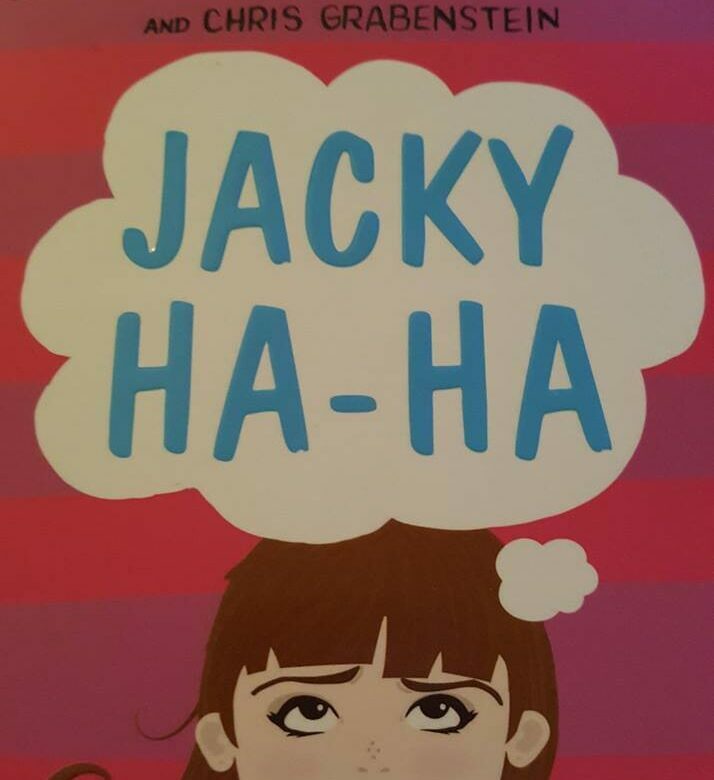 Mumsnet bloggers picked us to host a book club based on the James Patterson and Chris Grabenstein novel, Jacky Ha-Ha and the girls were really excited when they found out. Kaycee loves organising events and she threw herself into making the book club a success! We received 6 copies of the book, discussion questions, ideas for games, a word search, posters, a photo booth kit, paper to design your own book cover and some bags of sweets. The girls each invited 2 friends and gave them a copy of the book. The book club date was set for the 18th March so they all started reading. Kaycee and Ella set out crisps, popcorn, biscuits and sweets as well as cherryade and dandelion and burdock to drink. They stuck the book posters around the room and got pencils and coloured pens ready for the activities. They started the discussion by answering the questions we received. Why is Jacky so impressed by Ms. O’Mara? Why is Jacky afraid of being in the play and giving a speech? How does Jacky overcome her fear? Here’s a little video at the start of the discussions. They all designed a book cover then did the word search once the discussion was over. While they were doing the word search, Kaycee and Ella judged the book covers and found a prize for the winner and little prizes for everyone else! Fun with the photo booth was next, just before everyone had to go home. Kaycee enjoyed organising it and it was a great success. So much so, she’s been inspired to do another one next month! Thanks to Mumsnet and Penguin/Puffin books for choosing us and helping to keep the love of reading alive in my girls. I’m very proud of them both for organising and running a book club at their ages! I love the idea of organising a children’s book club. I think my son would enjoy that sort of party as he’s an avid reader and so are a lot of his friends.